I was an American soldier and part of a brotherhood. 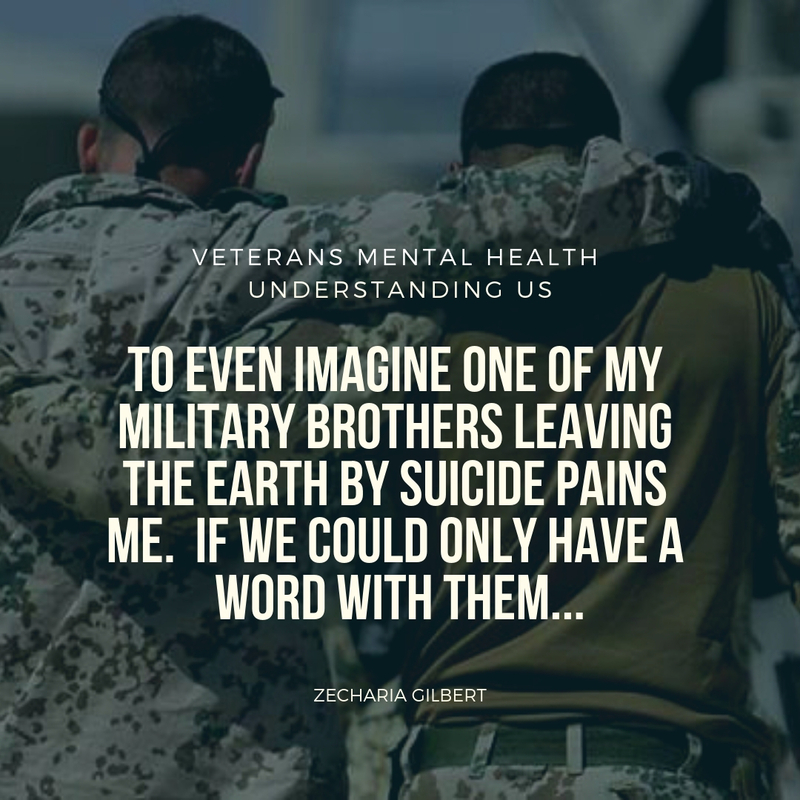 Understanding Veterans and our mental health can be a difficult task, so I’d like to share something with you that brought me to tears and hit me in the gut. I’m going to expose something deep within me, the heart of every soldier. I was seventeen years old when I joined the Army National Guard. Not knowing much about life, other than I loved aviation, computers and sports, I was shipped to basic training in the summer of 1995. 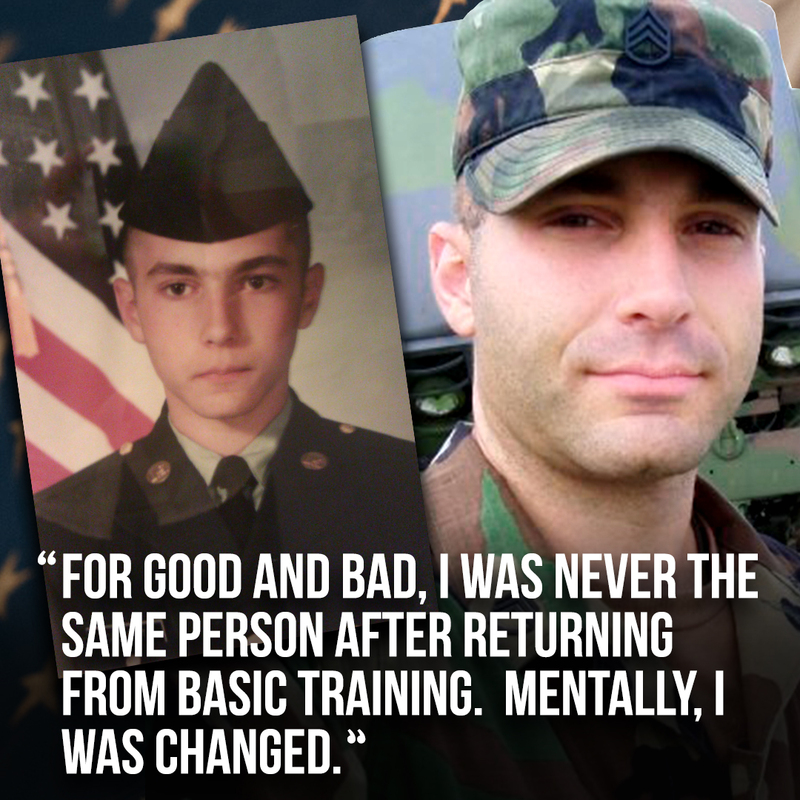 For good and bad, I was never the same person after returning from basic training. Mentally, I was changed. I was at a stop light sitting in my new car when a wave of disgust overtook me. I knew why and just couldn’t stop it. What set me off was something very simple. I couldn’t stand the way someone was speaking. I cannot remember what was being said, but it was very selfish and childish. I had just gone through 8 weeks of life where being selfish and childish was absolutely not tolerated. Your “B.S. Meter” hits the fan pretty quick after being in the military. Civilian life and the people within it seem so ridiculous, selfish and petty. They say if you want change in your life, practice something for 40 days. Army basic training is now 63 days. Coincidence? I think not. Everyone who goes through military basic training is forever changed. I returned to high school to finish my senior year. As I returned, I came back with nearly zero hair on my head. People talked under their breath, but I couldn’t give two craps about what they thought anymore. You see, before becoming a soldier, I cared way too much about what others thought of me; it would drive me to depression. I learned one thing during basic training that summer. I know who real friends are. After nine weeks in basic training, I knew the depth of a strong brotherhood. The likes of which no civilian will ever begin to imagine. Why is this? Imagine spending 24 hours a day with 25 other people for 9 weeks straight. That equals 1,512 hours you spend with those people – sleeping, eating, joking, pushing and sometimes crying side-by-side. Now, if you do the math and you are sleeping next to your significant other tonight and you spent a 1/2 hour with them in the morning and two hours together before sleep, you will have to be with them for 20 weeks to equal what a U.S. soldier experiences in 9 weeks at basic training with other humans. So, when soldiers are deployed for 1 year together, they get pretty close to each other! Now, imagine that your 1 year tour of duty is over and you come back to the States. Then, inevitably, you get moved onto your next duty station. You may never see those people again. People that you spent years of your life with are suddenly gone in an instant. In 1996, Antonio Benefield and I met at Shepherd Air Force Base in Texas, where we were put together to in-process into what the Army calls AIT (Advanced Individual Training). We had both finished our senior year in high school and were both going to finish our military training. Antonio was a stocky-strong black kid from Jacksonville, NC. He stood 5’10” and weighed 210 lbs and was strong as an ox! Over the next 3 months we lived together, ate together, prayed together and at times cried together. We shared a room together and became close. At first I couldn’t understand much of what he said as his slang was much different from mine, but I quickly learned about him. I can still remember slinging him over my shoulder (5’9″ 150 lbs) and doing a fireman’s carry in our daily physical fitness. Everywhere he went, I went and vice versa. All of our personal time was spent together as well. As it was time to part ways and say goodbye, I knew that this man would be a friend forever. In my heart and in my soul, he was my brother. We exchanged phone numbers and said we’d talk soon. Antonio and I talked a few times over the next few years, but ultimately ended up losing touch with each other. I had always imagined what it’d be like to see him again. Recently, Antonio had been on my mind. In fact, he had been on my mind quite a bit over the past few years. 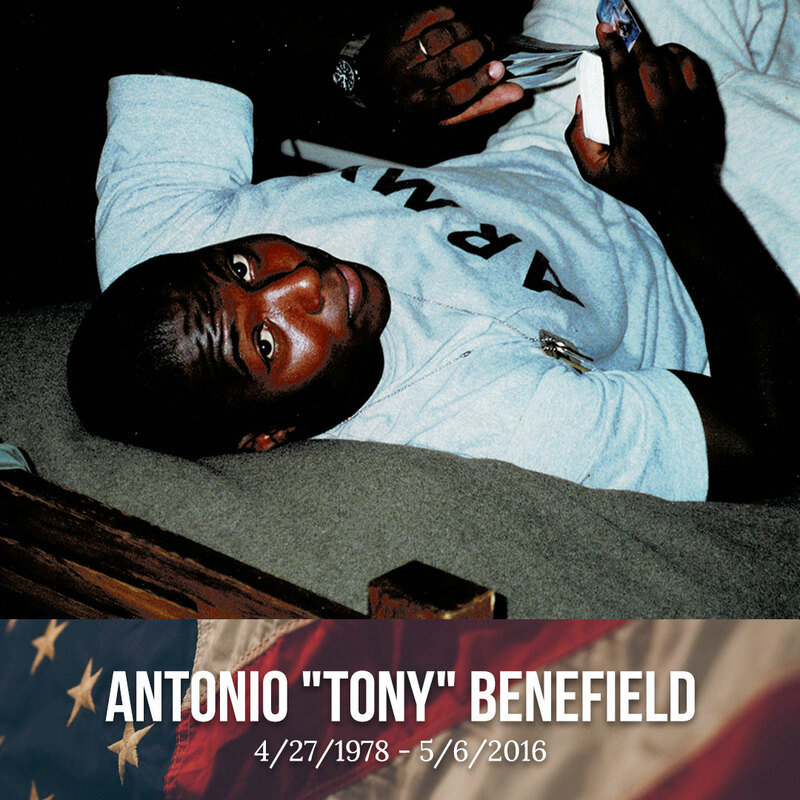 I had Googled his name, “Tony Benefield … Jacksonville, NC”… “Anthony Benefield”, but I could never find anything. It wasn’t until 3 weeks ago that I opened up an old address book I found I had during our training in Texas, that I found his information. I had just been searching the wrong name! So I plugged in his full name, “Antonio Benefield”. My heart quickly sank and tears came to my eyes. I knew it was him. How could it be!? It was his photo. It was his obituary. It cut and sank into me. I could barely breathe. He was gone. Although I hadn’t seen him in years, he was a true brother that I lost. Antonio was only 38 years old when he died! It hurt to know that Antonio was no longer on this Earth. Antonio, I will see you soon. This is for sure! Sebastian Junger is a journalist who created a documentary called, “Restrepo.” If you haven’t seen it, I highly recommend it! 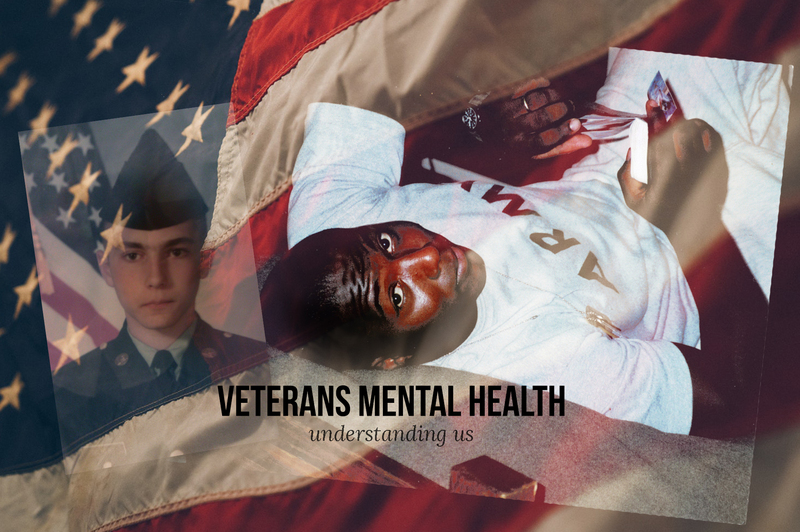 In this TED Talk, Junger talks about why veterans miss combat and being in the military. It’s dead on! I am here to say that we need to realize the situation we’re in, calls us to a higher place. What we have gone through and learned, may we bring this to the civilian world. When we walk into that job interview, that meeting room or simply to our desk, may the people around us know that we bring a higher level of candor; that we stand for others, give to others and ask for nothing in return. You see, we learned of brotherhood and now it’s our time to bring that to the civilian world. The world needs men and women like us. We are now deployed in a new battle and it’s going to take something from us to step up. We are no longer called into formation. We have to create our own formation, daily. This is our time. 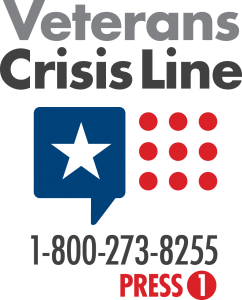 The mental health of our veterans can be confusing and difficult to understand, I know. However, I encourage you to simply thank a veteran for their service. Don’t text them, don’t Facebook message them. Invite them to your home. See how they are doing. Let them know that they have a friend. If you believe that they are in need of someone, you are probably right. Never hesitate to reach out in love and care for them. You can change the course of one person’s life including your own. Who’s the first Veteran friend of yours that comes to mind? Call them now.